Bellator 200: Carvalho vs Mousasi (photos) » MMA H.E.A.T. Bellator 200: Carvalho vs. Mousasi takes place tomorrow at The SSE Arena in London. The event will be broadcast on Paramount Network at 9pm ET / 8pm CT, while preliminary action will stream on Bellator.com and globally on the Bellator Mobile App beginning at 12:30pm ET / 9:30am PT. 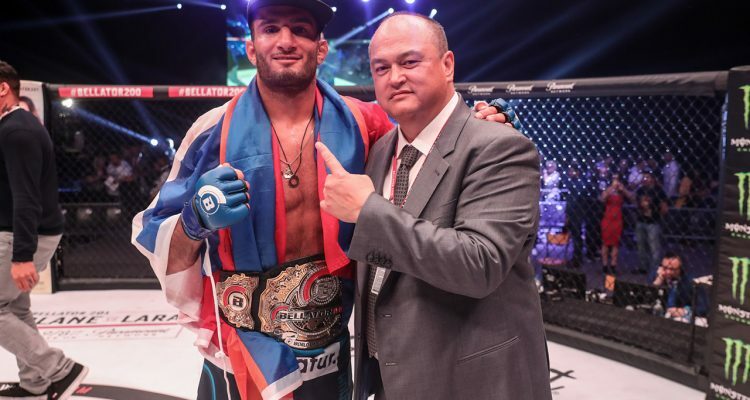 ** Gegard Mousasi On Bellator Title Fight, Rory’s Call-Out, Testing King Mo, Gold Rolexes + More! No Comments on "Bellator 200: Carvalho vs Mousasi (photos)"